It’s been a quick minute since we’ve seen Jake “The Grinder” Heffernan enter a cage. 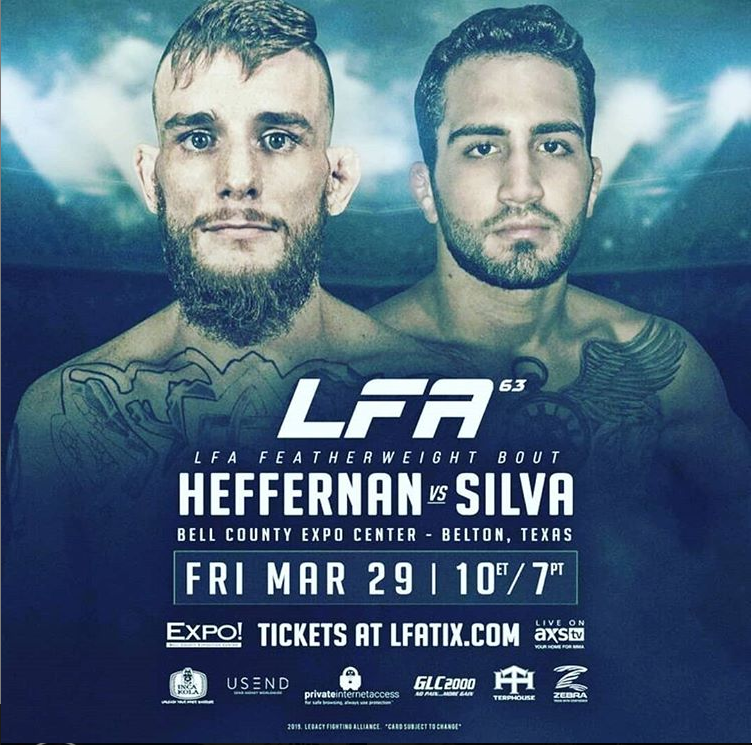 In fact it will be almost nine months since Heffernan’s last fight to when he fights Gabriel Silva on March 29 at LFA 63. Since last June, Heffernan has tried to get a fight. Despite the long layoff, Heffernan still believes he is at the top of the featherweight division on the regional scene and believes that he is a fighter many don’t want to fight, hence why he had the long layoff. Speaking of teammates, Heffernan has expanded his training partners to include top Texas featherweights Daniel Pineda and Damon Jackson. Heffernan trains with Pineda at 4oz Fight Club and with Jackson at Fortis MMA as well as training at his home gym, Gracie Barra Woodlands with his head coach, UFC fighter Alex Morono (he is officially representing Gracie Barra Woodlands). It was Morono who first took Heffernan to Fortis to train under Sayif Saud and work with high level training partners such as Jackson, Diego Ferreira, Macy Chiasson and Miles Johns. Though Heffernan is excited to train with Team Fortis and hopefully join the team full time in the future, he has had to hold down the fort and teach classes and coach the team at Gracie Barra. For his advancements in this camp, Heffernan attributes a lot of his growth to Pineda. In his last fight, Heffernan showed he reached the next level when he defeated Peter Stanonik by unanimous decision at LFA 43. Stanonik is known as a very talented kickboxer, (who has even fought for Glory Kickboxing) but Heffernan was able to dictate the pace on the feet and the ground. The fact that he was able to stand with Stanonik became a big confidence booster for him. The win over Stanonik not only boosted Heffernan’s confidence, but it earned him a multi-fight contract with LFA. 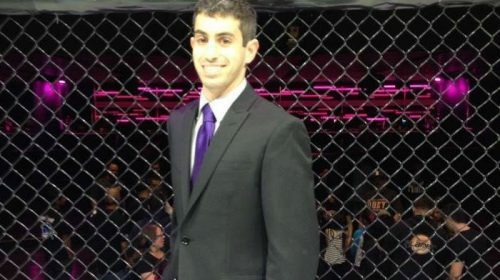 His first fight on the card will be against UFC veteran Erick Silva’s brother Gabriel on March 29 in the co-main event of LFA 63. Heffernan knows he is in for a tough fight but the fact that his opponent is getting attention from being the brother of a famous fighter makes him think his opponent might not be as good as people make him out to be. The matchup itself is intriguing to Heffernan,as he believes they are both naturally good on the ground and are both pressure fighters. He also sees it as a crowd-pleasing fight, which is what he aims for. The Texas native is known for his grappling skills but has grown more confident in his striking skills, but he says he won’t forget what he is best at when it comes down to winning a fight or being entertaining. In fact, he says muscle memory won’t let him. Silva is a smaller fighter for the featherweight division, standing at 5’6, but Heffernan says he has trained against many similar sized training partners and believes his pressure will overwhelm Silva. Because of his pressure and his confidence in his striking, Heffernan doesn’t see this fight going to the scorecards. 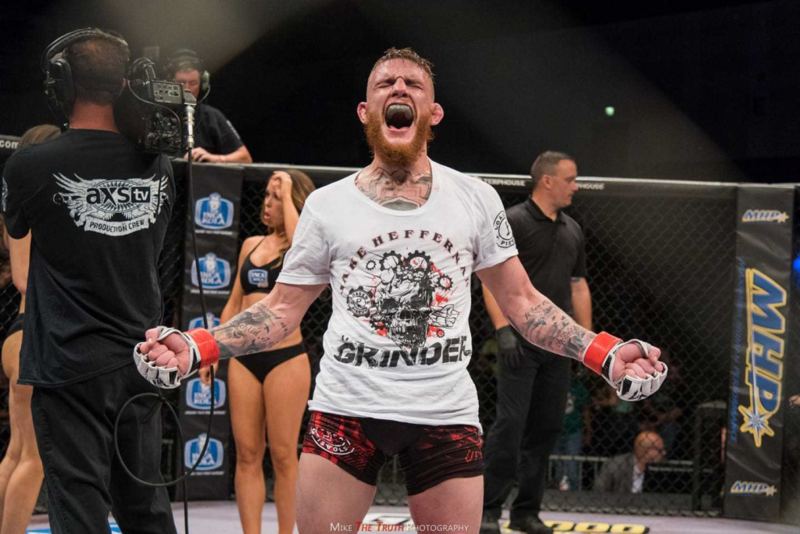 What’s next for Heffernan is tricky because Damon Jackson is the interim LFA featherweight champion and he trains with Team Fortis, where Heffernan wants to train. So fighting Jackson isn’t realistic for Heffernan. But the is a possibility Heffernan won’t need to win the LFA title to make it to the UFC as Dana White will be in attendance for his fight to film an episode of Dana White Lookin’ for a Fight and an impressive victory can earn him a spot on the UFC roster. Heffernan, is thrilled with that news and believes “Uncle Dana” will be talking about him for days after his fight.